Yes you can follow all my instructions. Did the bcdboot c:\Windows /s w: /f uefi command worked if not can you paste the error message? Sorry @Loo007 i have to go to sleep i'm very sick. Thank you very much @Loo007! Please let me know how you are progressing? Hello, I hope that you are feeling better today! I am at the same standstill as I was from the last message because I am still in the same loop. Every time the laptop restarts without me pressing F11, the following screen comes on (FYI). Your device needs to be repaired. The operating system couldn’t be loaded because the system registry file is missing or contains errors. So I just turned it off. It almost feels useless and I don’t want to take up too much of your time! Thank you i feel little better. That error message indicate that the System registry hive file missing or contains error. Have you completed below commands? Windows Vista/ 7/8/8.1/10 keep a regular backup of the registry handy in case you need to overwrite a corrupted registry. By default, the RegIdleBackup task runs every 10 days, so that’s as far back as you would lose if you replaced the current registry with the automatically backed-up files. 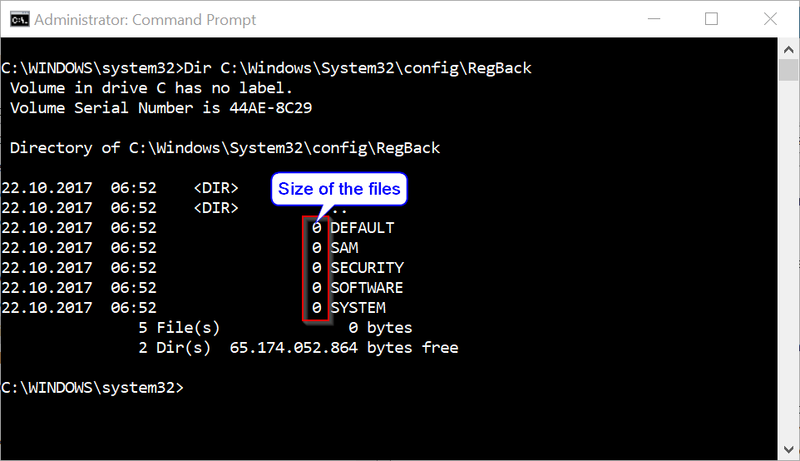 You can find the backed-up registry files in \Windows\System32\config\RegBack folder. Above command will list files stored within RegBack folder and there file size, make sure files are not zero size if they are do not follow below instructions. Please type below commands into Command Prompt and for each command you have typed press Enter key. This procedure assumes that Windows Vista/7/8/8.1/10 is installed to the C:\ partition. Make sure to replace C:\ drive letter to the appropriate Windows OS installed partition drive letter if it is a different location. Above commands renames the registry files at their existing location, and then copies the registry files from the RegBack folder to the C:\Windows\System32\Config folder. It says to NOT follow below instructions if all files are zero. So what do I do? Respectfully, I feel like I am going in circles, executing the same commands over and over since almost the beginning with no change or improvement. At this point, do you think that we are wasting our time? Sorry to say but yes we have no option left except reinstall Windows 10. Do you have working Windows installed computer? Do you need to backup personal files?